Australian-born Georgia Browne graduated with distinction from the Royal Conservatoire in The Hague having studied with Kate Clark and Barthold Kuijken. She performs regularly with groups including the Dunedin Consort, The English Concert and the Orchestra of the Age of Enlightenment, and is Principal Flute of Ensemble Pygmalion in France. 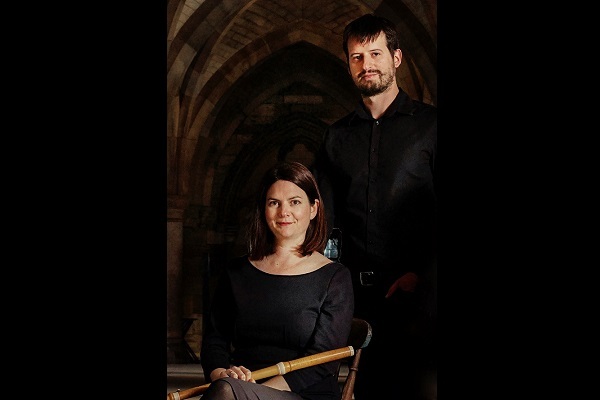 In this concert with harpsichordist Tom Foster, she performs three newly devised suites of French dance music by court composers from the end of Louis XIV's reign, including repertoire by François and Louis Couperin, Dornel, Hotteterre and Monteclair.